Kawasaki 4010 Trans-After Market Full Cab Enclosure-Retail Value-$1,099.99-ON SALE NOW for $839.99! Kawasaki 4010 Trans After Market Summer Cab-Retail Value-$499.99-ON SALE NOW for $369.99! Kawasaki 4010 Trans After Market Windshield Top-Retail Value-$449.99-ON SALE NOW for $319.99! Kawasaki 4010 Trans After Market Top Cap-Retail Value-$299.99-ON SALE NOW for $199.99! 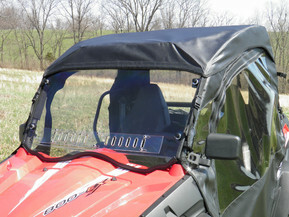 Kawasaki Mule 4010 TRANS After Market Lexan Windshield-Retail Value-$499.99-ON SALE NOW for $399.99! Kawasaki Mule 4010 TRANS After Market Full Cab Enclosure w/Lexan Windshield-Retail Value-$1,499.99-ON SALE NOW for $1,099.99!